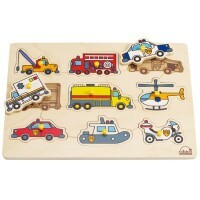 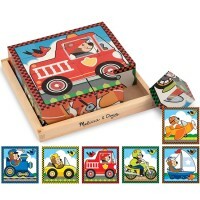 Complete this colorful wooden puzzle with pegs and learn about the important emergency vehicles! 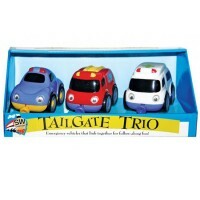 Kids are fascinated by rescue mission cars with all their cool look, loud sirens and blinking lights. 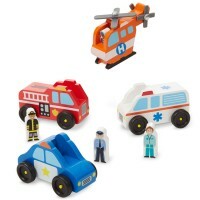 The new Hape's puzzle brings all the emergency vehicles together for your little car lover. 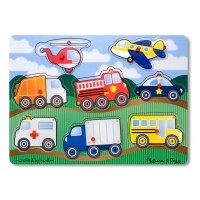 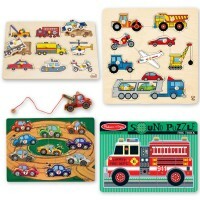 Find the right place on the wooden puzzle board for each of the 9 well-illustrated helpful vehicles that cover any emergency kids can imagine. 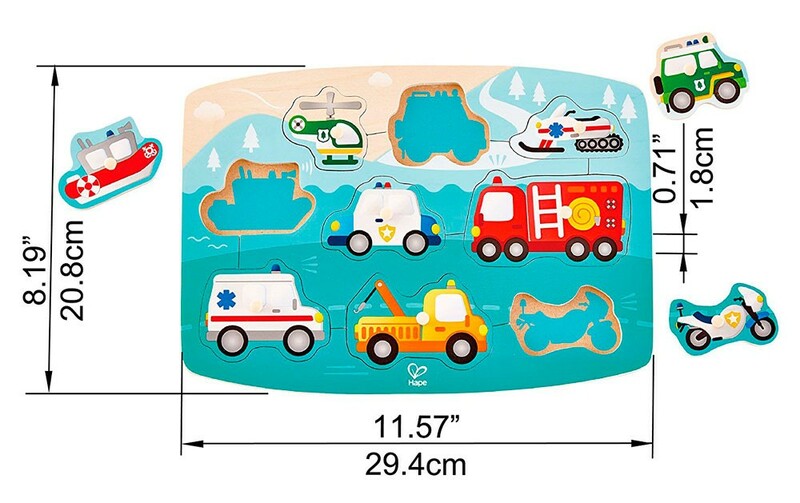 Each puzzle piece has the prompt picture underneath to assist the kids in finding the correct place for the emergency cars. 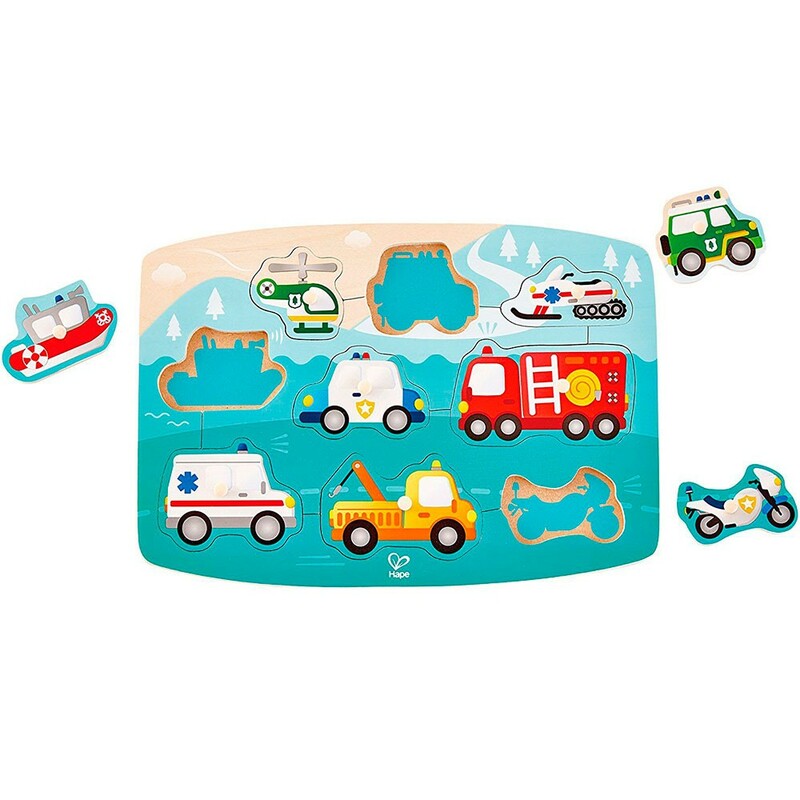 Emergency Vehicles 9 pc Peg Puzzle includes a police car, fire engine, ambulance, helicopter, police motorcycle, tow truck, patrol boat, and emergency snow mobile. 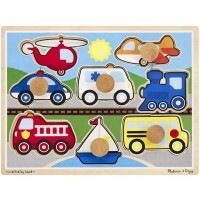 Complete this Educational Toys Planet's first puzzle with pegs and learn about the important emergency vehicles! 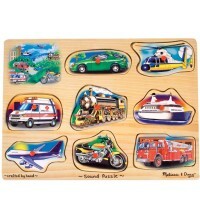 Dimensions of package 8.2" x 11.6" x 0.7"
Write your own review of Emergency Vehicles 9 pc Peg Puzzle.